In ufology, the word UFO is an Acronym for Unidentified Flying Object, originally pronounced yoo-foe as a short form in speech, but more often sounded out phonetically like the names of the individual letters UFO. The term was coined in 1951 by Captain Edward J. Ruppelt of the USAF for the purpose of providing an official designation for what were being loosely referred to as flying saucers, which were popularly believed to be extraterrestrial spacecraft. To provide a historical backdrop, Captain Ruppelt had just taken command of Project Blue Book, the official USAF investigation into UFOs that succeeded Project Sign. Project Sign had prepared an Estimate Of The Situation concluding that flying saucers are extraterrestrial spacecraft. We know this because Captain Ruppelt saw the physical document and wrote about it in his classic non-fiction book The Report On Unidentified Flying Objects. However because Project Sign had based its conclusion on eye-witness accounts and indirect evidence such as RADAR reports, it was felt that further study was needed before the USAF hierarchy would accept the ETH. So Project Blue Book was created, the term UFO was adopted, an official USAF definition was drafted, and the study of ufology was born. The official definition describes UFOs as, "any airborne object that by performance, aerodynamic characteristics, or unusual features does not conform to any presently known type of aircraft or missile, or which can not be identified as a known object or phenomenon." Later, the USAF used the acronyms UFOB ( Unidentified Flying Objects ) and UAO ( Unidentified Aerial Objects ), both of them synonymous with the official definition of UFO. Although the official definition leaves little room for interpreting UFOs as anything other than alien, some skeptics continue to argue that because UFOs have been branded as "unidentified", they could be anything at all, including all those things that the official definition clearly excludes. To address this issue, ufologists sometimes use terminology which leaves no room for doubt including alien craft, alien transport or alien technology ( ATECH ). Today the terms "UFO" and "flying saucer" are still used synonymously in casual conversation. The UFO pictured above is an artist's rendition of an alien transport purported to have been under study at a highly secure USAF testing area known as Area 51. According to physicist Robert Lazar, who claims to have worked at the Area 51 S-4 facility where the craft was being studied, it is 52 feet in diameter and popularly referred to as the "sport model". In ufology, an abductee is someone who has been kidnapped by aliens. ACOM is the acronym for Alien Communication. In ufology an alien is usually some kind of extraterrestrial intelligence. In ufology androids are often associated with MIB. The Barringer Meteorite Crater is located near Winslow Arizona USA. A crash retrieval is a coordinated effort do retrieve a downed aircraft, spacecraft, rocket or missile. In ufology the phrase "foo fighter" originated near the end of World War II. The FOIA has helped to disclose many UFO related documents. Military pilots were the ones who most often sighted foo-fighters. UFO propulsion is theorized to operate by manipulating the force of gravitation. The astronomer J. Allen Hynek studied UFOs for the USAF and founded CUFOS. When a UFO witness experiences missing time they may also have been abducted. The Modern Era in ufology began during 1947. UFOs have been sighted by NASA astronauts. The NSA has been involved with UFO investigations. The Ra�lian Movement originated near the Puy De Lassolas caldera in France. Many UFOs have been tracked on RADAR. The Robertson Panel recommended discrediting pilots to cover up UFO sightings. USAF Captain Edward J. Ruppelt was one of those who ran Project Blue Book. One of the most famous USAF investigations into UFOs is known as Project Blue Book. A radio telescope detects faint radio signals coming from space. The SETI project could find extraterrestrial intelligence. Declassified SIGINT documents include UFO sighting reports. Project Sign was the first known USAF program for investigating UFOs. Some skeptics have changed their views about UFOs after learning more about the phenomenon. The spacetime model for the universe was developed by Albert Einstein. Author Timothy Good has written a number of very good ufology books. Ufology is the title used for the array of subject matter and activities associated with an interest in UFOs. 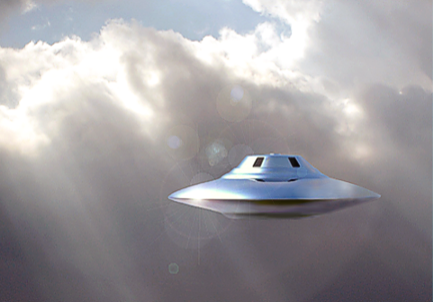 A UFO is more than simply an unidentified flying object. 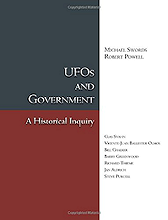 UFO secrecy has been a common practice of governments and military agencies. The origin of the word "universe" is in the ancient Latin phrase universum. Unexplainable UFO reports in the USA prior to World War Two are rare. On January 22, 1948 the USAF began it's first official UFO investigative program called Project Sign. The VLA is one component of the National Radio Astronomy Observatory ( NRAO ). The Notable Names Database refers to Claude Vorilhon as a religious hoaxer. Todd Zechel is best known for winning an FOIA lawsuit against the CIA for the disclosure of UFO related documents. The Ufology Society International website has a wealth of UFO related items of interest including books, videos, equipment, and online articles. Our online information is cross checked for accuracy and consistency against multiple data sources, including encyclopedias, skeptical journals and our in-house UFO library. We have hundreds of books on everything from abductions to cryptozoology, plus resources for hard sciences such as physics, astronomy and aviation. So when you want the most reliable information or opinion about any UFO related topic come to USI first. If we don't have the answer online, just ask us and we'll do whatever is within our means to find it and report it. Many of our articles also link to in-depth work by published authors. Here at USI we know that ufology is not only interesting, but it can also be very entertaining. So in addition to the studious pursuit of ufology, we also link to a wide variety of science fiction books and videos, and because you don't have to pay any membership fees or dues, you can spend your money on the goodies you want. Members also get special pricing on advertising and other goodies ... Join here !